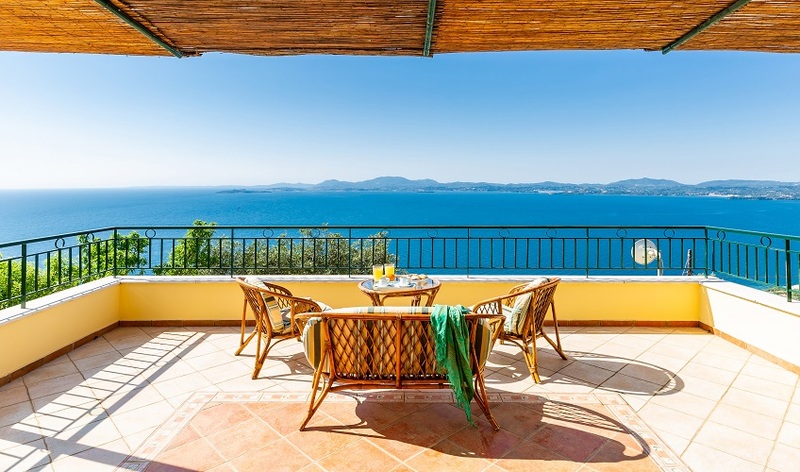 Villa Nestoras is a charming traditional style Corfu house situated high on the mountainside above the delightful village of Nissaki. 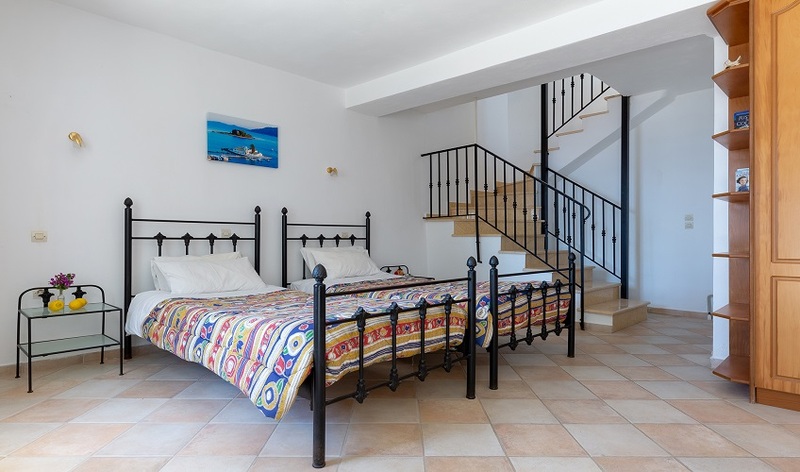 Built on three levels, the ground floor twin bedroom with its en suite shower room has its own balcony with sea view. 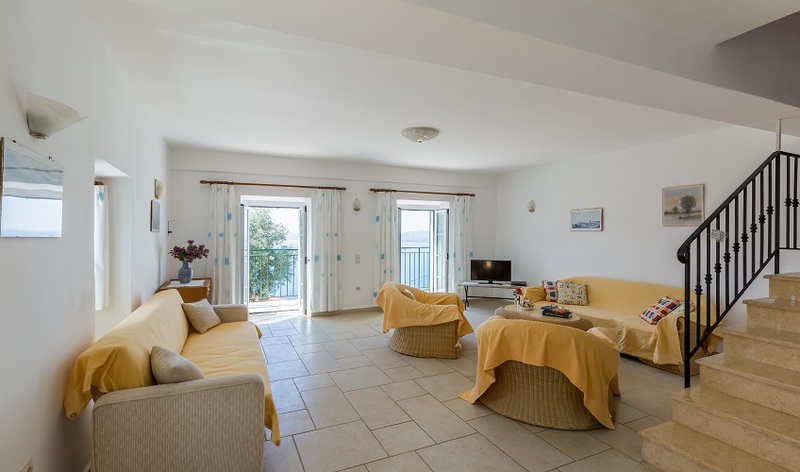 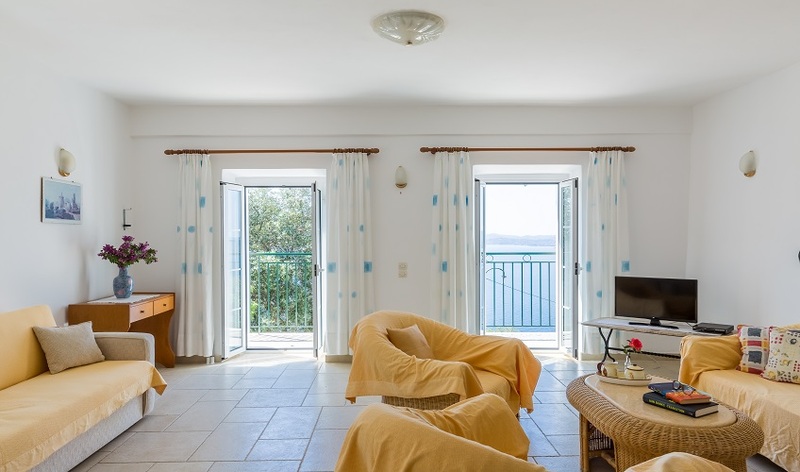 The first floor has a spacious open plan lounge with a well-equipped kitchen and two double doors opening onto a small balcony, to enjoy the exquisite sea views. 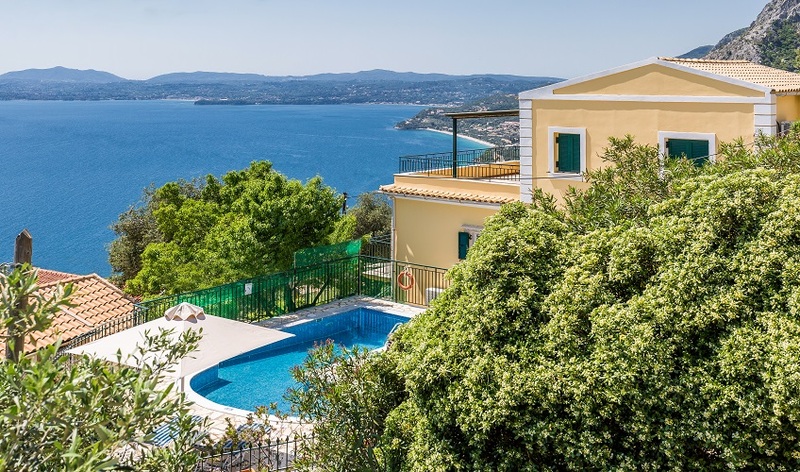 The pool is accessed from this level. 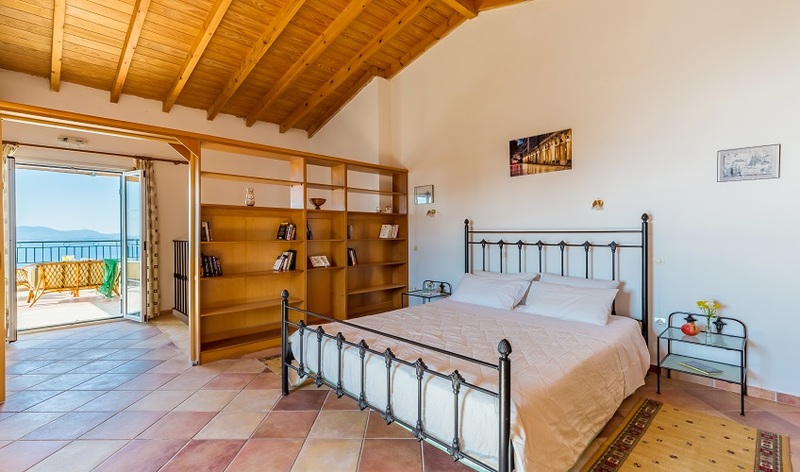 On the upper floor the master bedroom has an en suite bathroom and plenty of wardrobe space. 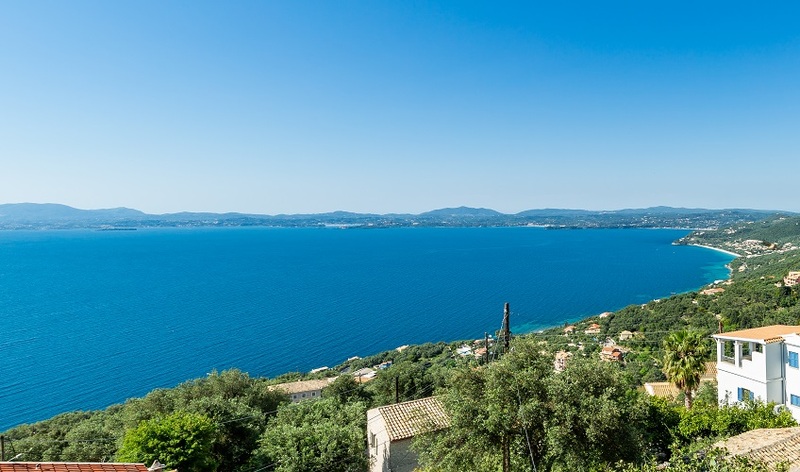 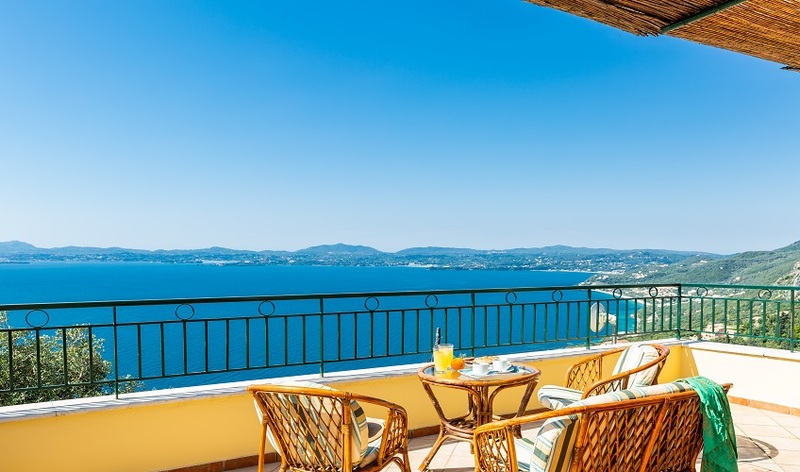 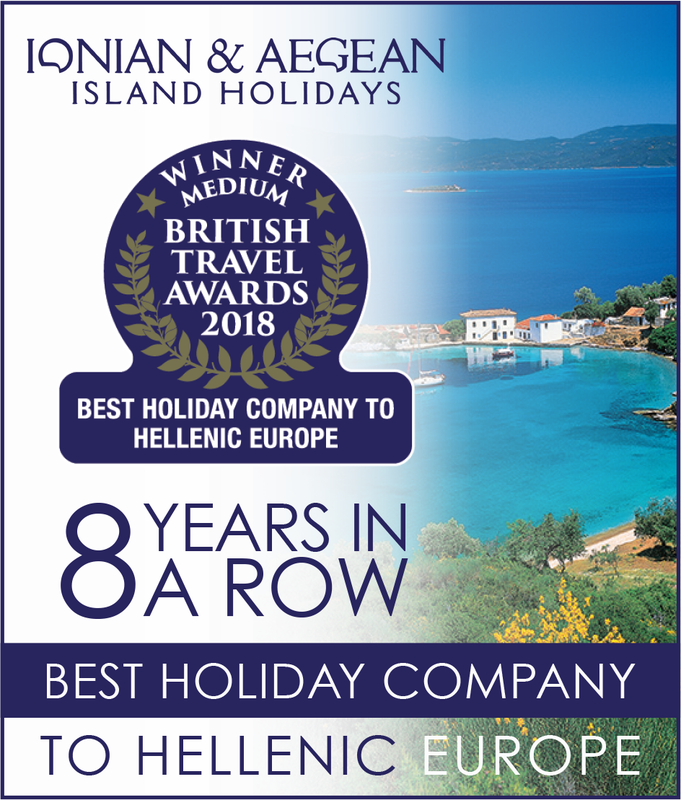 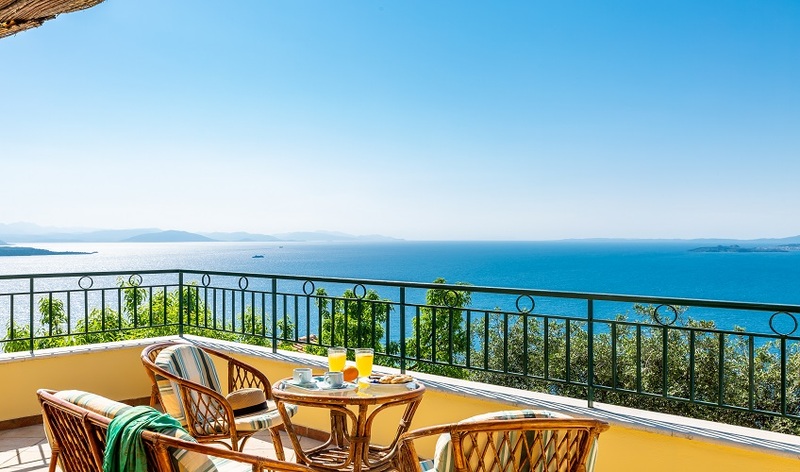 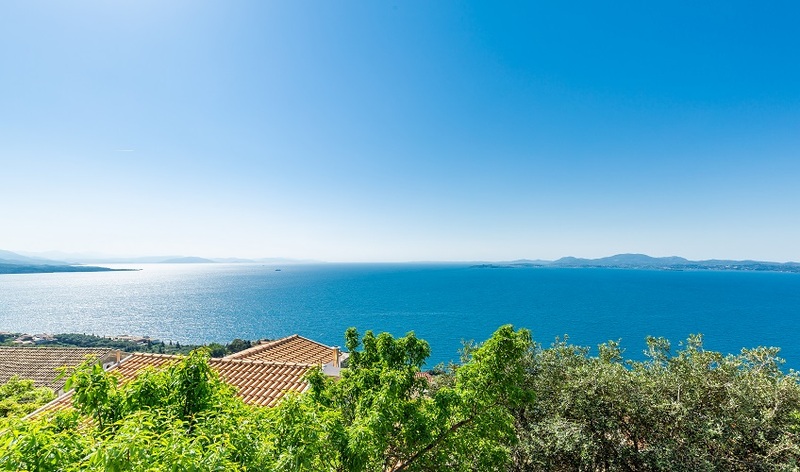 It opens onto a large veranda with breathtaking panoramic views of the coastline stretching between Albania and Greece and along Corfu’s east coastline down to the Venetian fortifications of Corfu Old Town. 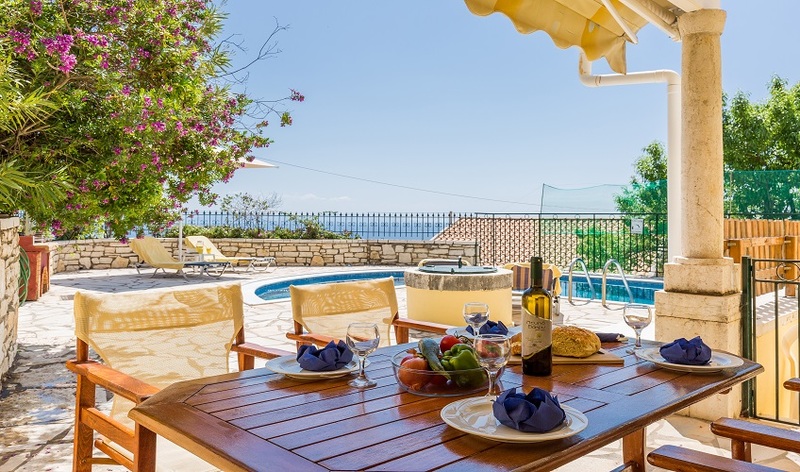 Villa Nestoras outdoor space will certainly not disappoint with a good size unusual shaped pool and built in brick BBQ, perfect for those who enjoy alfresco dining and outdoor living. 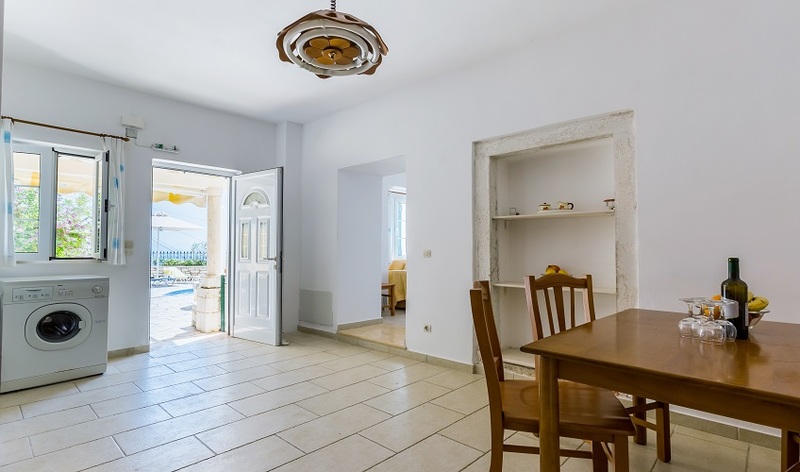 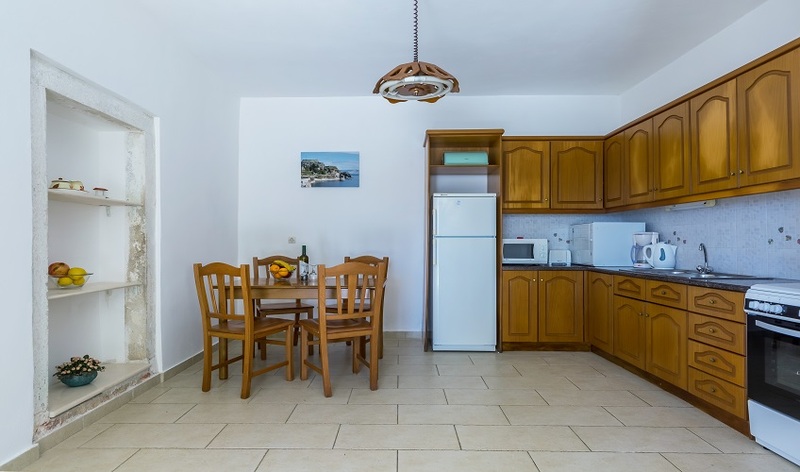 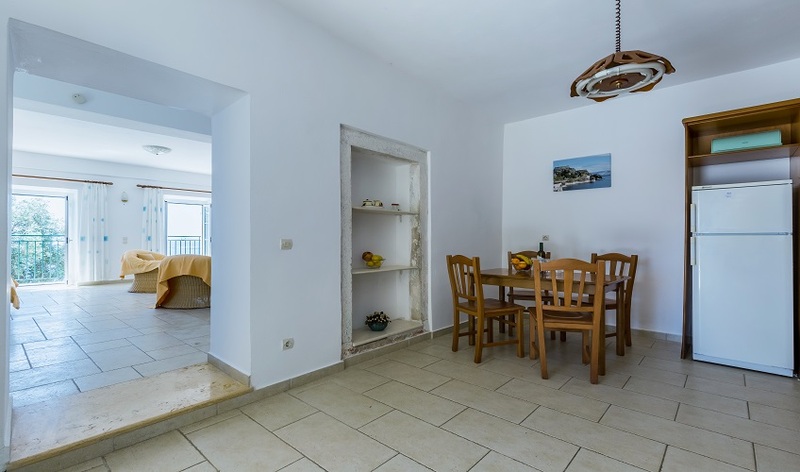 The villa is located a mere 10minute drive from the picturesque port of Nissaki, with its tavernas, cafes, bars and gift shops all of which promise an enjoyable holiday. 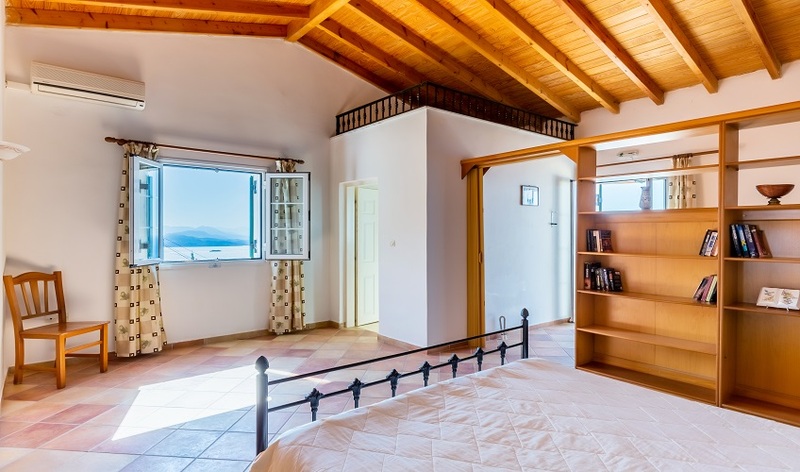 Villa Nestoras is located in an elevated position via a steep winding road.